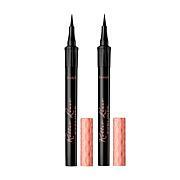 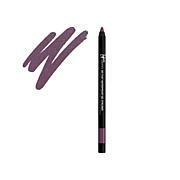 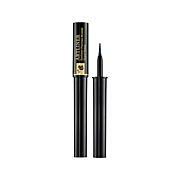 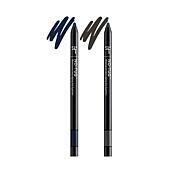 Precision matte liquid liner in a fun mini size. Rest precision tip on the base of the lashes and line from the inner corner outward. 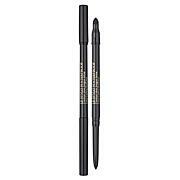 Trick: Dot between base of lashes to create subtle definition. Ingredients: AQUA (WATER), METHYLPROPANEDIOL, STYRENE/ACRYLATES COPOLYMER, STYRENE/ACRYLATES/AMMONIUM METHACRYLATE COPOLYMER, CELLULOSE, PEG-60 HYDROGENATED CASTOR OIL, COCO-GLUCOSIDE, POLOXAMER 407, CITRIC ACID, PHENOXYETHANOL, POTASSIUM SORBATE, PHENYLPROPANOL, SODIUM BENZOATE, SODIUM LAURETH-12 SULFATE, SODIUM LAURYL SULFATE, CAPRYLYL GLYCOL, SODIUM DEHYDROACETATE, BHT. 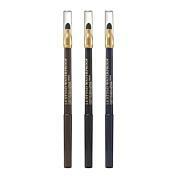 [+/-: CI 19140 (YELLOW 5, YELLOW 5 LAKE), CI 42090 (BLUE 1 LAKE), CI 77007 (ULTRAMARINES), CI 77163 (BISMUTH OXYCHLORIDE), CI 77266 (BLACK 2 [NANO]), CI 77288 (CHROMIUM OXIDE GREENS), CI 77289 (CHROMIUM HYDROXIDE GREEN), CI 77491, CI 77492, CI 77499 (IRON OXIDES), CI 77510 (FERRIC FERROCYANIDE, FERRIC AMMONIUM FERROCYANIDE), CI 77742 (MANGANESE VIOLET), CI 77891 (TITANIUM DIOXIDE)]. 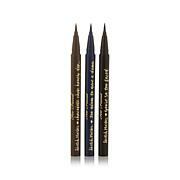 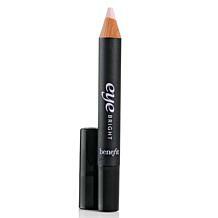 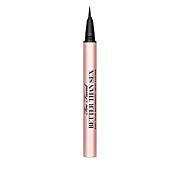 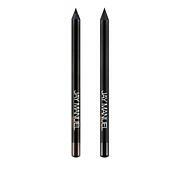 Love this eyeliner, it goes on very smooth.